Her Majesty Queen Rania Al Abdullah, chairperson of the Jordan River Foundation (JRF), expressed her gratitude to major donors, including organizations, corporations, and individuals, that have supported JRF this year, commending their crucial role in building the capacity of Jordanian communities. Speaking at a luncheon held in honor of JRF supporters at Al Husseiniya Palace, Queen Rania lauded donors’ support of JRF’s mission and its empowerment of women, explaining that an investment in w omen is also an investment in their families and communities. Noting that generosity has never been more important than it is today in light of difficult economic conditions, Her Majesty added that it is unfortunate that women are always last in line for opportunities. Through donor contributions, JRF is able to train women in various handicrafts, "lifting them from a life of dependency to one of productivity, and replacing a sense of helplessness with one of dignity and pride," Her Majesty added. Since its establishment in 1995, JRF has launched numerous socio-economic projects for women, providing employment and training opportunities to enhance their livelihoods. Over the past year, JRF has focused on the development of its Social Enterprises initiative, which strives to create sustainable economic opportunities for local community women and female Syrian refugees by capitalizing on their potent ial as independent breadwinners for their families. This includes training in labor market skills, entrepreneurship, and management, as well as handicrafts and cooking. Under these efforts, JRF has partnered with IKEA to integrate Syrian refugees and local community women into the workforce through the creation of a series of exquisite handicraft collections reflecting Jordan’s traditions and heritage. 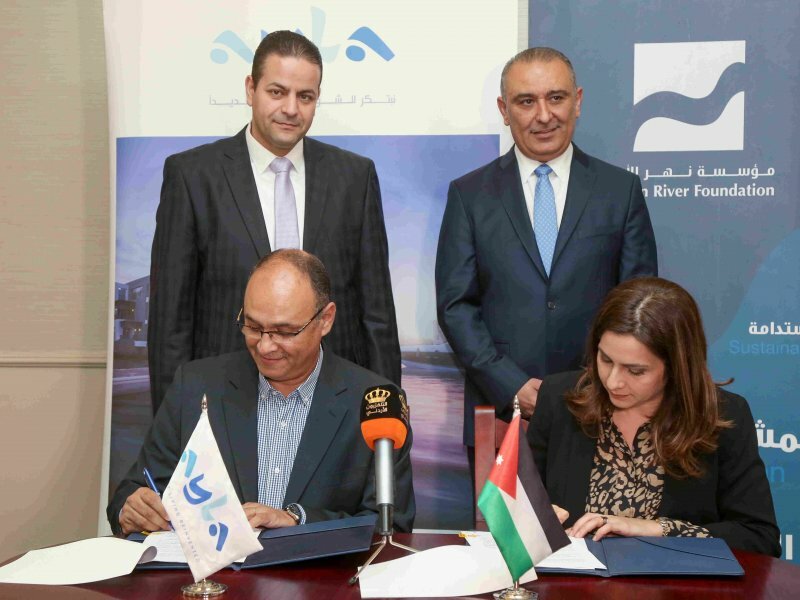 The collaboration aims to help sustain social and economic stability across refugee-hosting communities, offering Jordanian women and Syrian refugees jobs to produce handmade carpets and embroidery items, sold exclusively by IKEA, locally and regionally. Launched at IKEA Jordan, the collection will soon be available at IKEA stores in several Gulf Arab countries as well as in northern Africa, the U.S., and Europe. The honorary luncheon was attended by JRF’s Board of Trustees and Director General, Enaam Barrishi, as well as several key JRF supporters, including Mr. Ali Kolaghassi, Arab Potash Company, Housing Bank for Trade and Finance, and Arab Bank. JRF is a non-profit, non-governmental organization with a focus on child protection and community empowerment. 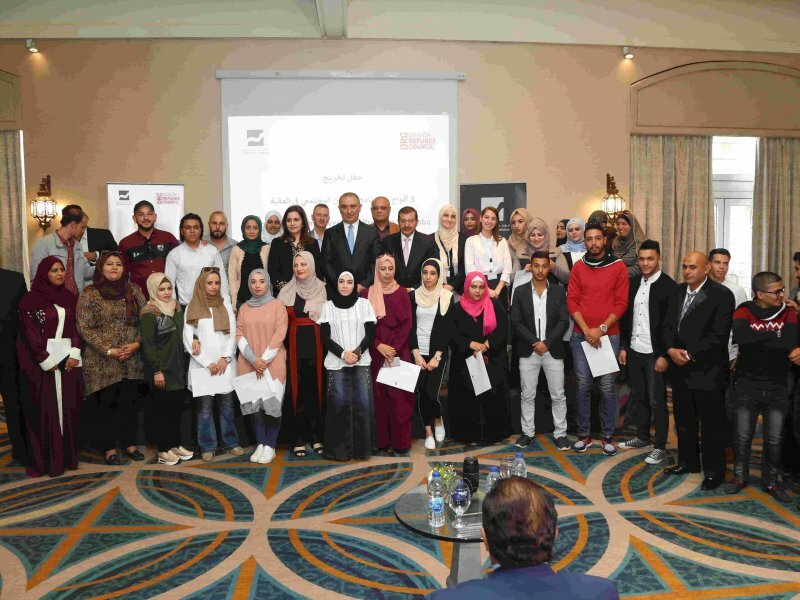 Contributing to social justice, alleviating poverty, and socio-economic empowerment, especially among women and youth, JRF implements a wide range of programs to achieve its mission of transforming Jordanian communities. The foundation’s social enterprises include Al Karma Embroidery Center, which employs women artisans in the Jabal Al Natheef area, and the Wadi Al Rayan Project, which repurposes cattail reeds and banana leaves as raw manufacturing materials. JRF has also empowered 1,600 women in 13 different villages through the Bani Hamida Weaving Project, which revives the long-celebrated tradition of Bedouin weaving. Invalid donation amount. Please select a total amount between (JOD 1 – JOD 2,000). This limitation is due to the payment gateway's maximum allowed sum per online transaction. If you intend to donate a larger figure, please visit our donation page to select the payment method that most suits you. Thank you for supporting JRF. Thank you for your donation. We will send a donation reciept to your contact email. Please take a note of the above reference number if you did not receive the confirmation email.